The “DTH” is the abbreviation of “Down The Hole” and sometimes it is also called “RAB” in some markets, then the “RAB” is short for “Rotary Air Blasting”. 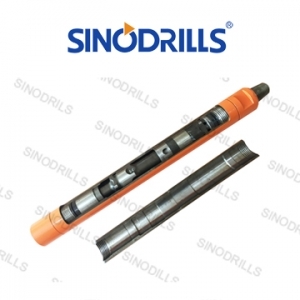 A rotation drill rig, air compressor and the “DTH drill string” are the essential unit for DTH drilling while the “DTH drill string” is always made up of DTH drill rods, DTH hammer and DTH bits. 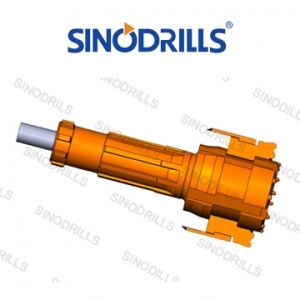 As one of key component, the DTH hammer acts as a role of converting the air pressure to the impact energy, simultaneously transferring impact energy and rotation force to DTH bits. As specialist manufacturer and provider of DTH drilling tools, hereby we recommend our newest generation DTH hammer which is improved by absorbing art technology, selecting superior alloy steel and robust design. 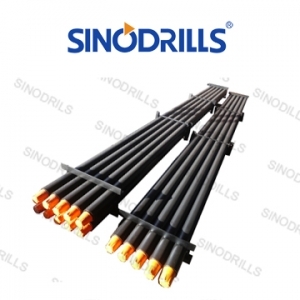 It is proved by more than thousands times of test that our newest DTH hammer has longer life , lower air consumption and 15% higher penetration speed compared the conventional DTH hammer in the market. 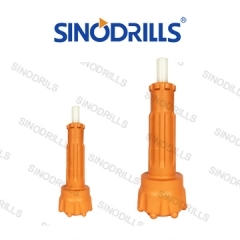 In addition, it can work at the air pressure from 6 Bar to 35 Bar(0.6~ 3.5Mpa). 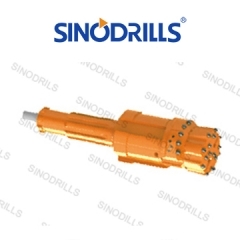 At last, we developed various type of DTH hammer which can be compatible with DHD, COP, QL, MISSION and SD shank of DTH bits and performs very well. Therefore, the newest generation DTH Hammer is very popular among our customers and has a good market share as soon as it launched in the market.